There's never enough space to use all the material you gather on a story, and my profile of Dan Kildee in Slate was no different. 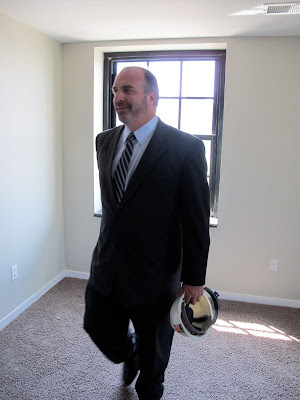 If you enjoyed reading about the pied piper of the shrinking city movement, here is some additional info about Kildee, Jane Avenue, H.U.D., and unofficial White House tours, along with some of the photos I took along the way. "I have a lot of memories of Jane Avenue," Kildee writes in an email. "That street, to me, was my grandmother. She lived there for 60 years, from 1934 until she died in 1994. Even then, many of the families on the street had been there for decades. That neighborhood in my early years seemed like a collection of families more than a typical neighborhood. The family names were familiar across generations — the Kildees, the Wests, the Lotts, the Beauchamps, the Griffins. Jane Avenue and the whole 'old east side' was a neighborhood in the way we don't see anymore. It reached across generations. "Going to my grandmother's house was like going to the family museum — it actually felt like we were going back in time. Of course, inside her house was this treasure of family pictures and other reminders of our family history — like her furniture which never changed throughout my whole life. But even the neighborhood was a reminder of past decades. The neighbors knew me even though I didn't know them — I guess the grandmothers kept one another informed. When I started running for office and would campaign in that area — even though I moved to the west side at age four — I had to plan for long conversations on the porches of east-siders, and they told me stories of my family. Of course many of those stories were the ones I never heard at home or at Grandma's house. I learned a lot about my grandfather, who died before I was born. "For me the saddest part of being there now is not so much that the houses have deteriorated or are gone. I miss that connection to my own past." Kildee has found a receptive audience at the federal level as well. After he helped draft a transition memo for Housing and Urban Development Secretary Shaun Donovan, Kildee was offered a H.U.D. job shortly after he got Community Progress up and running. He turned it down. As a politician who won a school board seat when he was 18 and had been in public office ever since, he welcomed his new-found freedom. You don’t have to spend much time with Kildee for him to illustrate this point. He calls a local state senator who opposes his views a “moron” and describes Van Jones’ speech at the Michigan Summit as “sort of interesting but kind of like something you’d hear in eighth grade.” Despite the unenthusiastic review, Kildee still found time to snap a photo of Jones with his smartphone and post it on his Facebook page. Not that Kildee’s outspokenness is hurting his access. He mentions that Derek Douglas, the special assistant to the president for urban affairs, summoned him to the White House in May to talk shop for a couple hours. 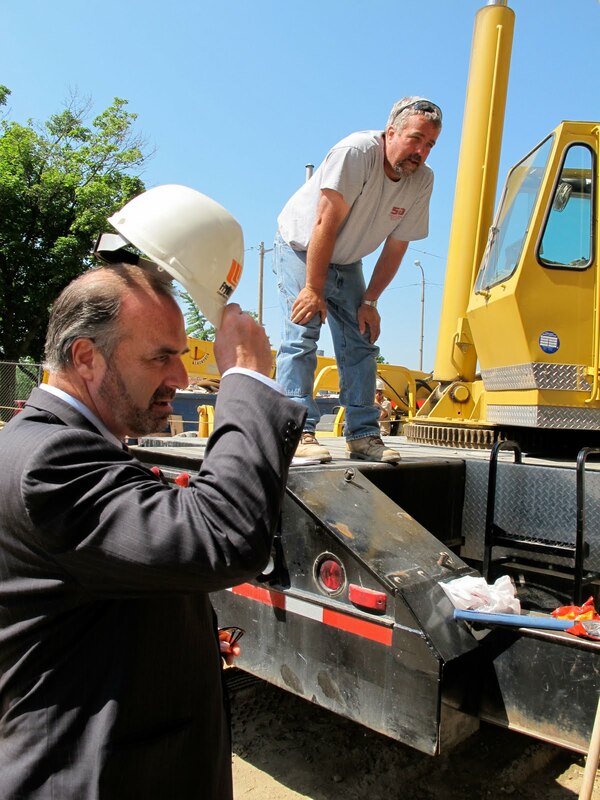 Local and state governments are embracing Kildee’s approach. He assisted the Ohio legislature on a land bank bill that recently passed with bi-partisan support. Similar legislation is expected to be approved in New York with Kildee’s help. Pennsylvania State Rep. John Taylor, a Philadelphia Republican, is currently sheparding a land bank bill through the state legislature after working closely with Community Progress. 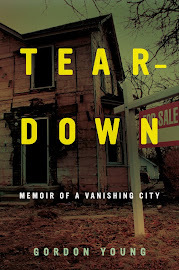 There’s a certain irony in the notion that a former high school hockey player from Flint — a factory town that practically invented the concept of planned obsolescence and grew prosperous on General Motors’ rapacious lust for an ever-expanding market share — might successfully export the notion that cities can save themselves by repurposing land and accepting negative growth. Rush Limbaugh even took notice, lambasting the shrinking city concept for several minutes of air time last summer. “I'm seeing things happen in this country that I thought I would never, ever see,” Limbaugh declared. “These are the kind of things that happen in totalitarian regimes.” Kildee was delighted. Wow...Wow! I didn’t realize that the demise of our beautiful city was a way for Kildee to feed on his pompous ego. His resonse to Limbaugh, "Best thing that ever happened to me"? Yeah...at the expense of how many thousands of people. Shame on you Kildee. Come on, how does Rush Limbaugh making another of his uninformed, idiotic statements hurt Flint? (And I love Flint, but I'd never describe it, past or present, as "beautiful.") And besides, if Kildee believes in his ideas, then there is nothing better than a windbag like Limbaugh spouting off about it. It gets the idea out there and starts people talking. For a City that has a past as great as Flint, it is unsettling that the best that the likes of Limbaugh or the current crew in power in Washington has is to shrink it. I'm sure other countries would find a way to preserve it and make it grow. You can't preserve cities. They change. There's absolutely no stopping it. So I would disagree that other countries have found ways to keep their cities static. Rust Belt cities have tried unsuccessfully for 30 years to make this fantasy come true and it hasn't worked. 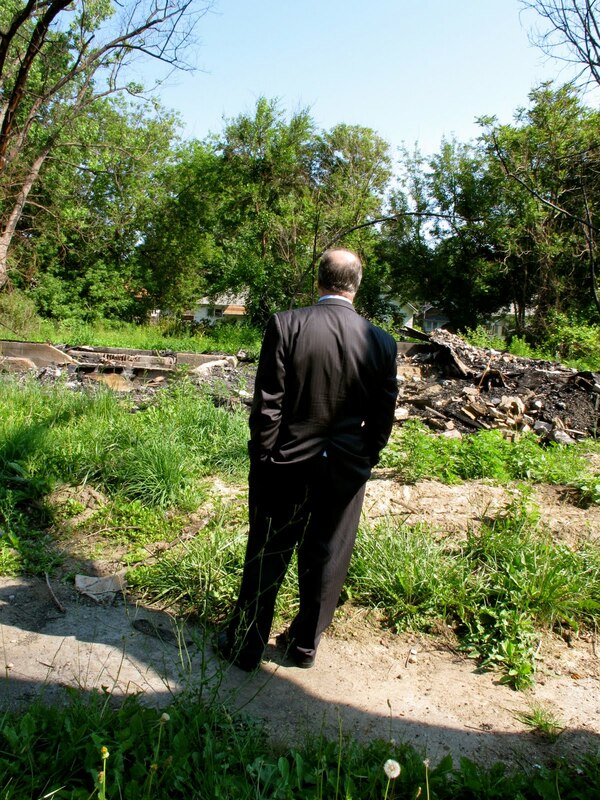 I think Kildee's point is to accept that cities can change and still be good places to live. Maybe smaller places with different economic engines, but not devastated bastions of poverty and crime. (And maybe bigger places, in many instances.) The point is that wishing Flint was the same as it was in 1960 isn't really doing anyone any good. I'm perplexed as to why people are opposed to "shrinking the city" because it has shrunk. There are thousands and thousands fewer people in the city. There are abandoned homes, neglected yards and rental properties owned by absentee landlords. 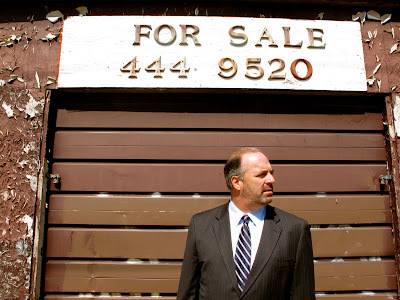 The city has shrunk, the only thing Dan Kildee is suggesting is that we use the property in a way that beautifies the city. Granted, the biggest problem is how do we get rid of all those abandoned homes without tons more money to knock them down. I grew up in Flint on the northwest side in the 60s. A vibrant, safe community filled with proud homeowners who took care of their property. I would love nothing better than to return to that neighborhood today and see large expanses of green where boarded up houses now stand. As it is now, when I go back on my city block, just down from a park there are 3 houses boarded up, two empty with one or more broken windows and one that is gorgeously kept up. The latter owned by a now elderly couple who lived there when I did. Why don't those of you opposed to "shrinking" want to help that beautiful couple who work so hard to maintain? People like me who fled (by the way, my parents moved, it wasn't my choice) might come back. I really don't understand this ongoing deification of Kildee. He is a lifelong pol who has gorged himself on the public trough, like thousands of other pedestrian pols across the country. Now, he has forsaken his home town and home state for a gig in Washington and that's supposed to increase his attraction back here in the Flint area? This, after a laughable aborted run for governor? Look, Kildee was never as popular here as he has somehow become in his golden years. He long ago sold his soul, cashing in on his Unka Dale’s political coattails. Period. End of story. If you're going to give Kildee a mostly unresearched coronation (read unchallenged interview), at least delve into this whole shrinking city idea that he is getting so much credit for. It is truly his idea when, in fact, nothing is new under the sun? For instance, I recall reading, oh, maybe two to fours ago an article about a professor who advocated reclaiming decayed urban areas by converting them back to farmland. Even if it is Kildee’s baby, it the idea is so revolutionary, how many places is it A) being tried and B) working? My belief is the guy politicized the Land Bank and converted it into a self-serving grab for more publicity to feed his narcissistic personality. I think if anything he should be a candidate not for governor or even a seat on the totally duplicative and useless county board, but rather for the Hair Club for Men. I knew the moment he announced for governor that his candidacy was doomed because, sorry, outside of Flint almost no one has ever heard of Kildee. If they have, it’s probably Unka Dale’s name that is semi-familiar. I bet if you asked 100 people in downtown Grand Rapids or Marquette, “Who is Dan Kildee?” maybe one or two could correctly identify him. So why run? Ego. He had to know, deep down, that he had virtually no chance to win. He can win in Flint and Genesee County, but that’s all. I, for one, am glad to see him "go." As much as he returns to Flint as some sort of a poli-god, one wonders how long before the group who hired him discovers his scope is all Flint and almost no “national.” Get over your ego-gratifying love affair with Flint, Dan, and start focusing on the reeeesssssssssssst of the country. It's really, really big. 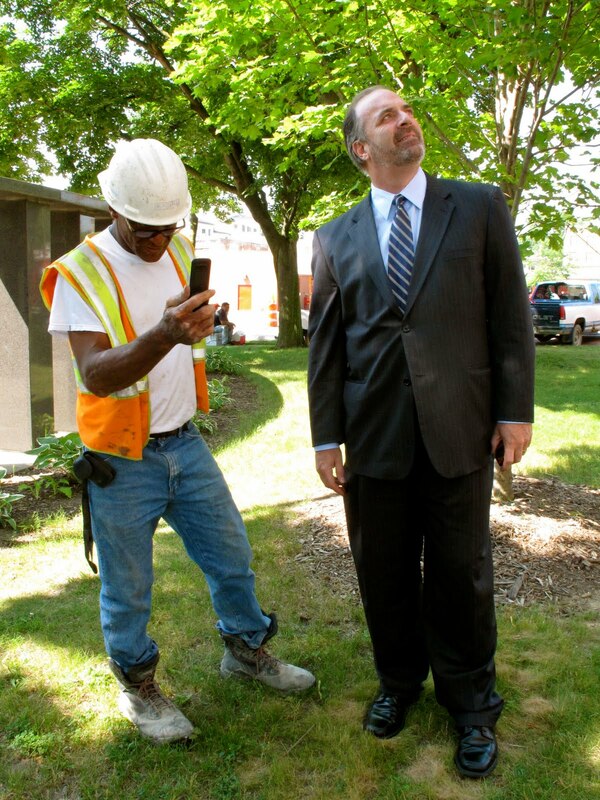 You should check it out sometime and stop posing for Flint photo opps. 2. I also cover the criticisms of the plan, both at the micro level in Flint and the big-picture criticism on a national level. 3. Both the Slate article and the Flint Expats addendum indicate that federal officials, including the president, are seeking him out to hear his ideas. Likewise, state legislatures in New York, Ohio and Penn., along with several other cities in other states, are working on legislation similar to Michigan's with Kildee's guidance. As a California resident, I see firsthand how cities in the Central Valley are facing abandonment issues similar to Flint's, although not on as large a scale. So, in a real sense, this is becoming national and relevant in the rest of the country. Again, thanks for the comment. One of things that interested me in this story is the disagreement about the plan. I appreciate your thoughts on it. Many countries do not differentiate between a City and a Metropolitan Area. Many US Cities annex land to raise their tax base and hide crime problems in Metro crime data. Flint, Detroit and other Michigan cities could have shown "growth" in that manner, at least until quite recently but they are prevented from doing so by state laws. I am suspicious of foreign and out of state finger pointing for that reason. And should Dan Kildee be driving 80 MPH in a 70 MPH Zone? Remember, if you support the Constitution (which like didtators have said of treaties, some politicians regard as just a piece of paper), there is EQUAL PROTECTION UNDER THE LAW. Thanks for your comments, geewhy. My kneejerk reaction was to all of the real estate devoted to Kildee on your blog and then to stuff in the news about him of late. I admittedly did not read your Slate piece but will now. From your description, it sounds fair and well-rounded. It does not change my opinion of Kildee in the least, however. I will give him credit for one thing: he certainly is capitalizing on something that apparently he even admits wasn't, at its roots, his idea. It's also something that, as far as I know, is still and may continue to be, more theory or academic. Something not tried on any large scale nor with any success, at least in this country. One day that may change but, meanwhile, Kildee sure is getting a lot of traction out of it. How may other people can you name, other than the late Carl Sagan, who are courted for something so theoretical? Yeah, his twist involves generating revenue from the tax foreclosure process. For years, Kildee presided over the county's sales of foreclosed properties. His Land Bank may have its positives, but I wonder if its negatives have been fully examined. No one out there is touting those negatives, whether on the public dime directly or indirectly or not. The whole idea of a foreclosed property auction is to get those properties back on the tax rolls asap. Not sure if a Land Bank achieves that primary objective. yeah, have to somewhat agree with this being a bit to0 much on Kildee It seems to be turning into a love story. Volunteers will be the only way to truly clear the land. A small, organized effort to bring down buildings with volunteers can grow. This way we can at least get started.. Show what can be done and collect donations and more volunteer resources to complete the job. If FLINT wants to be better. FLINT people have to do it. Not the government floating a windfall of money to PAY everyone to do this. Want a better community. Get out your lawn mower... OR better yet. Your bulldozer. Or talk someone into letting you barrow one. Get all the unemployed all over flint to get a sledgehammer to break up the foundations. COME ON.. LETS GET TO WORK! Lets also consider not planting all this land with grass.. Maybe low growth shrubs, large hard woods and some sustainable farms.. Lets not have to mow a lawn where a HOUSE once stood. Hey, it's a compelling story. You have to run with it. But I get the message. Am not sure why people are commenting on Kildee's driving speed. Everyone knows in MI if you're going the speed limit, you're in the way. Volunteers aren't going to do the work. It's a nice theory, but volunteers cannot be relied upon for consistency. My example is Nashville, TN in the recent FLOOD. "The volunteer state"
How consistent do you have to be to tear down a house? It's not rocket science. We built cars in Flint for goodness sakes! All these people have been out of work for decades! The right person can motivate them to work for very little or nothing. With the result being a city worth building a new corporate HQ in! Maybe clean it up enough to give everyone of them workers a real paying job. Something they can put on a resume of current work experience. Take the job corps people out of the classroom and get them to work. Here's a couple of links that show that when you talk about other US cities and World cities, you're comparing apples to watermelons. Flint has a mere 34.4 square miles, about 5% of the area of Genesee County. Consider that when you talk about the "success" of cities in other areas. Tearing down the entire City of Flint would leave 95% of the "City" when compared to consolidated cities such as Jacksonville, Nashville, and Indianapolis. Tearing down a house is hard work. Consistent means showing up. While many people who can volunteer (and might even have a passion for it) will do a lot of good work, there will be days when they can't. There will be days when their passion wanes. There will be days when they wonder why they are working so hard and not getting something out of it. And then they won't show up. It's true that a good leader can get people volunteering. But I consider hard work like this to be difficult to keep people consistently volunteering. If you want volunteers to do this, they would most likely be revolving door types, and then the burden is training the newbies. Now, if they had it as PART of the job corp... "Learning to tear down a house: Hands on experience 101"... that might work. Or maybe they should require all the architect or contracting or business or engineering students to tear down a house and see how much salvageable materials they can sell as a senior project. Whoever stays within budget (or makes a profit) of disposing the waste vs selling the remnants wins. Perhaps Flint could be the site of a new reality show. Excuses to continue on the current path. Just wonderful! Maybe you could find a city that is an APPLE to APPLE comparison to Flint and has a successful story we can emulate. You will be hard pressed. The truth is, maybe we need to be more like the watermelon comparison. That goes to show how FAR out of whack everything is. Flint is still on a plan from 1962! Grumkin, That is such a great idea! Now thats thinking outside the box! You’re a bunch of idiots! Flint and the State of Michigan is the result of the 20th century socialistic experiment that many are now trying to apply to the rest of the country. 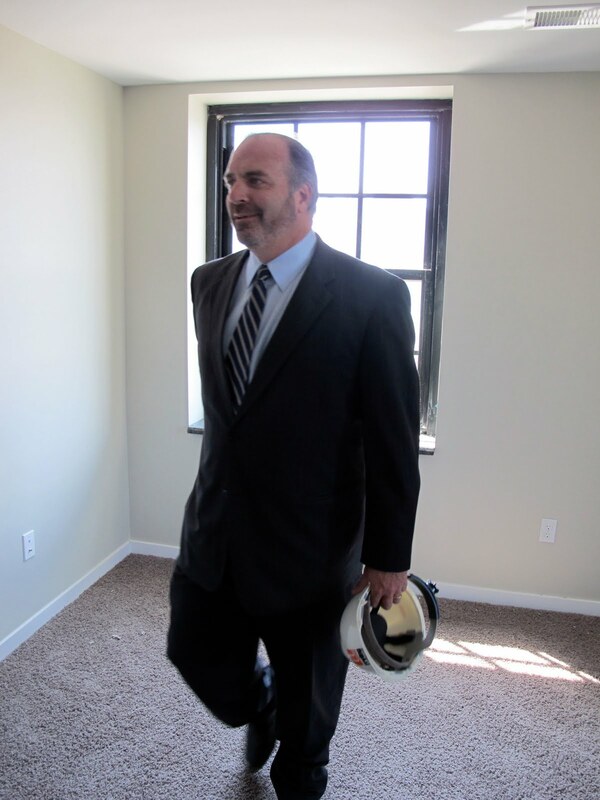 Leave it to the likes of the Kildee type, and we will all be forced to abandon the homes we now live in. It will probably be the only way Michigan could thrive again. Make the rest of the country as bad as Michigan, and they may move back. What will they have to loose. Yeah, socialist experiment! What that guy said. The state that gave birth to the world's largest corporation is a hornet's nest of socialism! Socialism...unions and welfare my friend. The true working peoples enemy. You’re not too bright if you think the people who actually pay the workers are going to hang around and loose money for the power of unions and government. Stop over thinking the problem with Michigan. It is as simple as my above mentioned statement. I was just wondering if there is such a thing as a hornet's nest of capitalism or is it, what goes around comes around. Sable Pelt, the pictures of Flint out of the sixth floor windows of the Durant are delightfully deceptive. I do remember a time when many areas of Flint was delightful to the eye. Lincoln Park, Burroughs Park, Civic Park, Kearsley Park, Mott Park, Forest Park, Whaley Park, Oak Park,Bassett Park, Gordie's Park and even Flint Park. It would be interesting to see some shots from the North end of the Durant's sixth floor.